The two-day long November wine festival was held for the first time this year in Zira hotel. Belgrade. Caused a lot of attention because, until now, this concept of events, local wine lovers were able to see only abroad. The first day was intended for professionals, people from wine and spirits industry, catering, trade, tourism, media…, and the second day was open-tasting for domestic wine lovers. This concept and well-chosen timing (first autumn big wine event in the capital) caused that participation in the event took all that mean something in Serbian wine making , we saw some winemakers who rarely appear at festivals. A large exhibition space was loaded with small, elegant stalls-boxes in which were accommodated winemakers, and in front of which are, in arrays, standing wine lovers eager to try something from really huge wine offers. 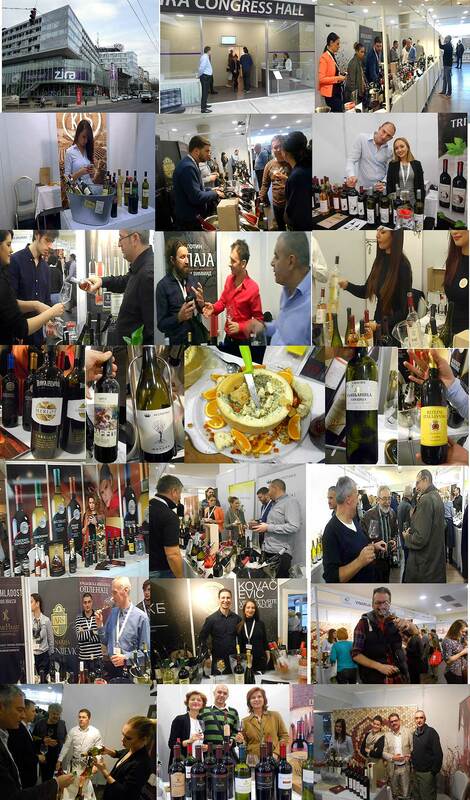 And there is much to rehearse, 50 domestic top wineries with more than 300 wines, and a couple of foreign guests (highlight wonderful Samos) plus a few domestic manufacturers of hard cheese that have selflessly offered their products to the test. Very successful wine event that will be long remembered here, and we hope that it will get its second release next November too.